With multiple vibrant and eventful play areas, each playground attracts a different kid at recess. The Weevos® play system, designed to meet the unique physical, cognitive, sensory/motor, emotional/social and language needs for 2-5 year old’s, gives kids a unique play experience. Also, if the playground is full, kids can socialize and play in nature themed clubhouse or the hillside slide! 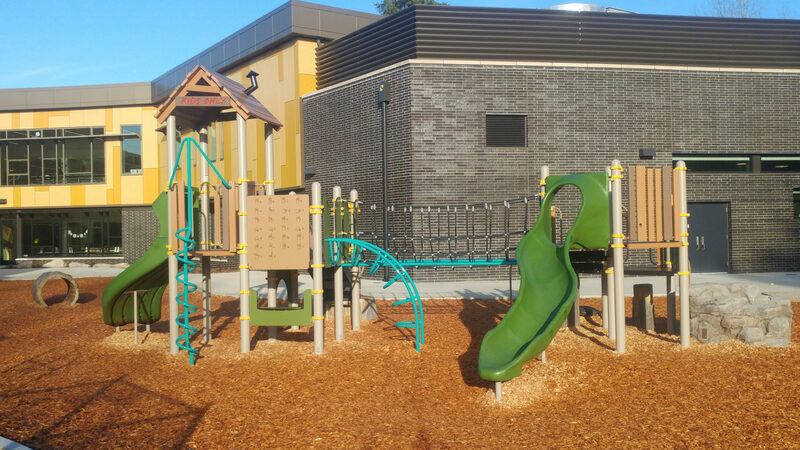 Three other playgrounds make up this vast playspace, so kids can experience different styles of play and learn! In conclusion, at Fairmount, kids spin, climb, slide, socialize and encounter nature inspired play.